Can you explain what your money story is? I think we all have our own unique story and even somebody who's an expert on money, I'm sure there's some things you can use here too. 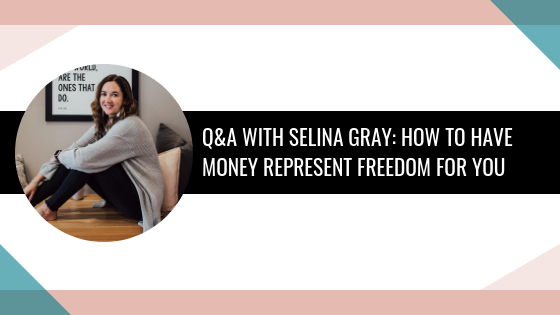 Selina: “Absolutely and I really want to start by saying everyone's relationship to money is entirely unique. It's unique to each and every person. So my money story, way back when I was a little girl, I had always loved money and numbers and it was an odd thing. My mom would say something was $20 and I'd be like no, it's $18.47! I was very particular about numbers when I was young. I remember probably about five years old running down my street, I lived in a tiny town in Canada, and I would run and sell like magazines and newspapers to the little old ladies on my street until they would literally start hiding from me! I always had odd jobs and I really embodied being a hustler before I knew what hustler meant. So I had a lot of little jobs and I loved athletics and school. I was always very over scheduled and very busy, but what I realized early on was that money represented freedom to me. When I had my own money, I kept my own choices and that was just amazing and then fast forward a few years, I convinced my dad, he had a small construction company, to be his bookkeeper around the age of 12. I remember every year we had a meeting with the CPA and she seemed amazing and I said wow, I really want to be a CPA too. So I just continued to learn about accounting and at age 16, you know, how you would fundraise for these school trips, we went to Europe and I'm standing in front of the Eiffel Tower in Paris, I'm like wow, I need a job that takes me around the world that has to do numbers. So that was my main mission and exactly what I did. So quickly became a CPA. I did it in 5 years instead of 6 because I'm an A-type overachiever personality. Then at 23, I became a controller an internationally traded oil and gas company and there became my real obsession with money! I was making excellent money. I was flying first class around the world, I was working in 12 countries, in Africa, Dubai, Europe, the Southern U.S. and I was hooked and initially my money story was, let's get as much money as you possibly can to retire early. At that point I had no idea but I wanted to retire early because I wasn't happy. I was just using it as a way to get me to a new place. So fast forward a few more years and working hard, feeling like I love my life, I'm starting to acquire really high-end articles of clothing, very put together, loved having the praise in power of my position but my health started deteriorating. I ignored it because you know in your late 20's, you still feel Invincible. So I'm just carrying on with my work ethic and all of sudden I passed out in my office in Tunisia and fly back home to Canada and that became, you know, one of the biggest turning points of my life. I got put into the hospital for over 20 days, I had over 12 traumas inside my colon: I couldn't eat for 11 days, I was on blood transfusions, IV steroids and was extremely serious and still my mindset was when can I get back to work? I was in complete denial and the doctor came in and said Selena, this is not an ulcer like you think it is, this is an autoimmune disease and you're going have this for life and you can no longer have the career you enjoy and that led me into huge darkness. I was completely lost. You brought up that you're the type A overachiever and I have quite a bit of those reading right now, so I'm sure there's lot people saying I can resonate to this and I'm always doing things right now to help my future later, but sometimes we can take it to the extreme. So we've got to be really, really careful. I love that you share that because I think people think oh, she's a money expert, she's CPA, she's going to have all the answers. She's going to know everything but you can still see how we can have our own unique struggles even if it's something that we're doing really well in or that's our area of expertise. I love that you're sharing and being open and vulnerable because it's so important for everybody to hear that. So thank you so much for sharing that! How long ago was this when you were in the hospital? Was there a specific mentor or book or something where, when you were going through your darkest times that really kind got you going, maybe this all wrong or was it just your experience? Selina: “No, it certainly was a book. I'm glad you brought this up. Inside the hospital, I had this wonderful nurse. I had an amazing set of nurses. As I was about to leave the hospital she said I really want you read this book and she scribbled down on a piece of paper and it was Spirit Junkie by Gabrielle Bernstein. Of course, I had never heard of it! I've never heard of spirituality or mindset work or even alignment before, because I was purely hustle related and like I keep getting all the things and I went home and it took me a few weeks, but I was walking down the road in my city and I looked over and there was a display of them in a bookstore and I was like, okay I get it! I come to realize that that was a universe moment and that up until that point I had little whispers like oh, here's your health, you know pay attention and I wouldn't listen and then I got steamrolled by a freight train and I was like, this is your wake-up call. So when I started reading her book, it was really new concepts to me. Let's fast forward a little bit. Now, you've got this realization you want change. Did you quit your job? Where did you go? How did you all of sudden start doing your own thing? I want hear that transition! Selina: “Absolutely. I went back to my company and the HR Director sat me down and she's like Selina, stay on long term disability, you can keep your high paying salary, you know forever pretty much and my overachiever in me who likes to work hard for what I earn was like no, no. I don't need that. I'm going to start my own consulting company, So of course, that's what I did. So again, learning lesson here that wasn't a good decision. But in some regard, it led me to where I am now, so I'm very grateful for all of these lessons. So I immediately started my consulting company and I had really strong network of people so immediately started getting International clients and I loved it! I was sitting at my island working in my pajamas, you know still interacting with International companies and I love that but I had thought back to some times when I had been really deeply stressed in my previous career. What I would do for fun, and this is going to exploit the level of nerd I am, I would do my friends cash flow plans and budgets to like destress. Then I started thinking wait second…all this conscious wealth, well it's not just about numbers. It's way more than that but I could still help people with numbers and then work along with them with the mindset. Where did the point come when you probably were the overachiever in the beginning burning yourself back out? Where did you transition into knowing you can actually make this work and be a business I love and not have it be taking over my life? So now you have a program called Money Boss and you really have fully stepped into this online space. You have that freedom, that flexibility, what are struggles that you've encountered as you're building your business? What kinds money mindset problems have come up that my listeners are going to say, this is exactly how I'm feeling or I've gone through this too. Can I ask you what made you realize there is a world of masterminds and coaches? How did you find out about that? Selina: “So I had always valued mentorship throughout my corporate career. I always had a lot of people that I looked up to and I started hearing about these groups of people and I was like, oh that's fascinating. I did a few of them already without being called masterminds but I'm such an A-Type. I really like things structured and to be clear on what I'm learning and I really started gravitating to some of my peer group who had been starting to invest and was asking all kinds of questions because it's important to do due diligence and of course through failure, I didn't invest a mastermind that really wasn't resonating with me. 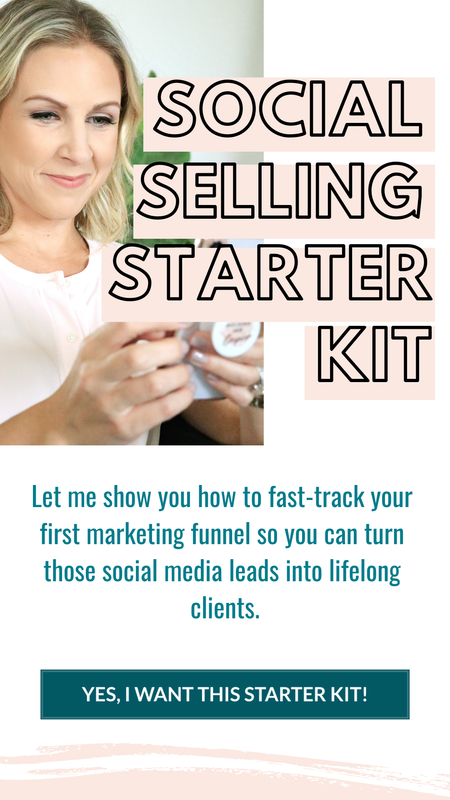 If you want to connect with Selina you can find her on Instagram, @selinagmoney and in her free Facebook group, She's A Money Boss! You can also find her at selinagray.com. PLUS, Selina will be speaking at this year's She's Building Her Empire Live, all about getting clear on where we're going and how to get there. You will have at least 3 liable inspired actions that you can implement into your business to make more money and feel better about yourself and your money mindset!